The new Lincoln Aviator will have a unique feature for owners of the all-new luxury SUV. 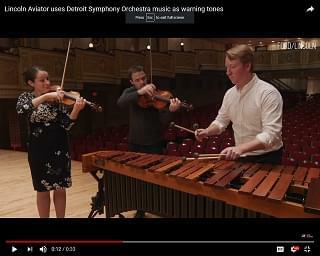 The automaker teamed up with Detroit Symphony Orchestra to provide the tones for 25 different vehicle features including when a door is open or the seat belts are not fastened. The musicians combined percussion, violin and viola to create the sounds. Lincoln first approached the DSO two years ago with the idea when the vehicle was in development.